Mumbai, Dec 8 (IANS) The Bombay High Court Wednesday asked the information and broadcasting ministry to serve a show cause notice to entertainment channel Colors over the content and timings of its reality show "Bigg Boss" to enable it present its viewpoint on the matter. "In our petition to the honourable court, we had asked to be given a fair hearing by the I&B (information and broadcasting) ministry to understand our viewpoint and accordingly clarify our stance on I&B ministry's objection to 'Bigg Boss'," a channel source told IANS. "Today the honourable court has asked the I&B ministry to serve us a show cause notice on this matter and give us an opportunity to present our viewpoint on the same," the source added. The I&B ministry also confirmed the development. The ministry last month directed Colors to change the telecast timings of "Bigg Boss" from 9 p.m. to 11 p.m. following viewers' complaints of vulgarity. 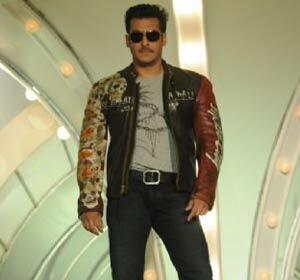 "Bigg Boss" was, however, allowed to continue with its normal timings of 9 p.m. till Dec 3. It filed a petition in the high court soon after.